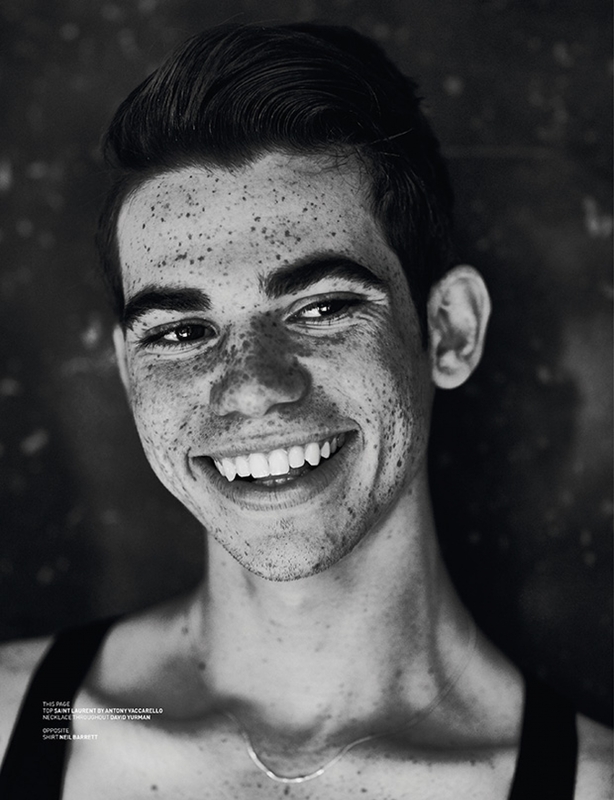 Our latest print issue issue, ’Tales of a New Generation’, boasts the greatest array of today’s young actor talent, and another we are happy to share is the charming Cameron Boyce. Starting in front of the cameras at a young age on the Disney channel, we’ve had the pleasure of watching him grow on screen in the roles he’s got to play. Delighted by his wise and thoughtful discussions, we uncover the old soul that hides under that infectious grin and adorable freckles. Meeting on a sunny day in LA, we transport you to that little air-conditioned car to listen to his musings about growing up within Generation Z, social media, being an old soul and the meaning of life. He was a fledgling star who’s finally entered the crisp throws of adulthood, and at 18, has a mature view of the world around him. Contemporary talks on his fellow generation and their search for identity fill our conversation. Photographer Amber McKee takes position behind the lens, capturing contemplated and pensive moments - a mature reflection freezing his true self for a moment of time. The conversation warmly touches upon family - the significance, the joy - and he preaches rejecting the tunnel vision that will only drag you down if you neglect to look around. His witty attitude reflected in classics from Saint Laurent against paisley patterns from Phillip Lim, dressed by Fernando Pichardo. He’s here to entertain - make people feel a certain way. Here to help you smile and escape any stress and hard times, just 22 minutes of joy, it’s why he does it. Take away a number of little life lessons from Cameron in our Autumn Winter '17 issue, beyond the teasers below. The print issue is available in stores and via the BBG Shop.